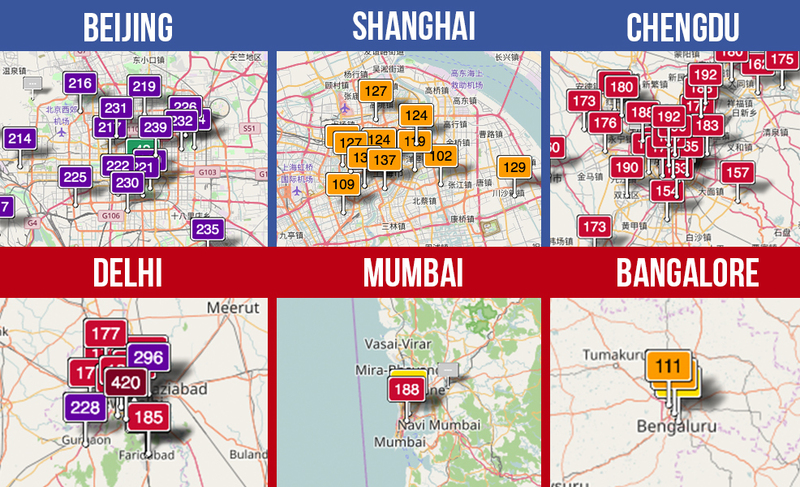 Early this year, I took a flight from Mumbai to Shanghai – which included a five-hour, pollution-related delay in Delhi. During the whole time in the air, it was only over the Himalayas that I saw the Asian continent getting a respite from the consequences of industrial activity, localized burning, and energy consumption. India is now well-documented to follow in China’s footsteps as the most polluted country in the world, and my most recent visit to the country’s major cities showed the stark reality of the challenges India faces as it looks to grow its middle class and drive people out of poverty. In many ways, China and India are incomparable, but when it comes to addressing the externalities of city development and growing industry – much of what China has experienced and is experiencing represents an evident example to India. At Collective, we often talk about Shanghai as being the first model for rapid, large-scale urbanization for not only China, but the world as well. Yes, China has the centralized system that makes urban planning and decision-making for infrastructural development more straightforward, but India – just like many other developing countries – is facing many of the same, though nuanced, environmental and social challenges that China does. Perhaps in no area is this clearer than in the country’s pollution epidemic. However, unlike in China, the local population’s awareness of the air crisis remains low. Even in Delhi, where the smog regularly reaches hazardous levels, the incidence of people wearing masks is much lower than in China. Only very recently has the wider public begun to realize the implications of air pollution and to seek preventative solutions. What Solutions Can China Offer India? But as social consciousness of the issue rises, what leaders and examples can provide some of the most cost-competitive solutions for the Indian market? Chinese brands like Xiaomi which, based on their own domestic obstacles, have been aggressively developing low-cost solutions to a market of individuals with increased spending power. Of course, much of the Indian population is still years away from being able to afford such technology – but those with the spending capacity are now making purchases. 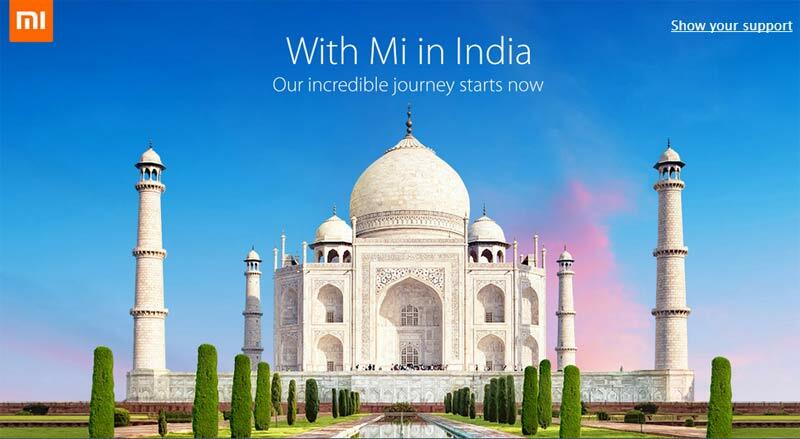 The movement of brands like Xiaomi into the Indian market provides a clear illustration of how China can act as a model of the world’s developing nations. It is understanding the needs for innovation within these systems that allows companies to thrive. Taking China as an example and identifying the fractures that are occurring, chances are that these same conditions will appear in many other parts of the developing world. Of course, they will look, smell, and taste different – but when trying to achieve a sustainable future, many of the fundamental challenges will be similar. Be it waste, energy, the elderly, or air pollution, societies are following familiar paths. Despite the clear need for these solutions, strong innovation and entrepreneurship will not only focus on preventative technology – such as air filters, PM2.5 readers, etc. – but will look to gain advantages and change systems before the major problems start to occur. Understanding these challenges and designing with them in mind will place nations and systems in a far better position than current ones. It will allow countries like India to avoid the countless externalities that our current systems are experiencing under the “business as usual” scenario. India may be next, but there are more to follow. 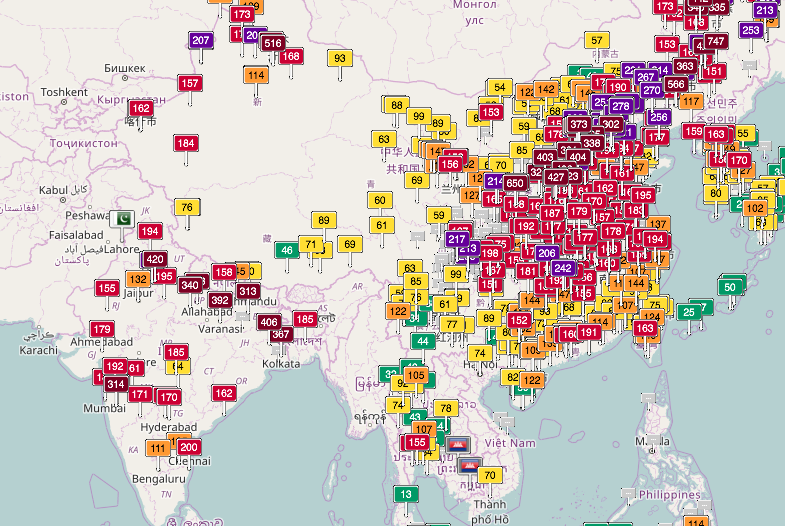 If this article interests you, check out our Air Pollution in China report. Follow us on social media to receive the latest Collective reports, articles, and announcements. Tags: air, China, innovation, Pollution, Sustainability, urbanization.